Ikon Homes is the family company that builds for families. We pride ourselves on our welcoming culture, attention to detail, and understanding of the market we operate in. Building a house can be stressful and a wee bit daunting, however it wasn’t our experience once we met Colin and the Team from IKON Homes. We were very impressed from the very first meeting with the team at the Riverhead show home. The team has integrity and passion for building quality homes. The whole IKON Homes Team was involved in the build from start to finish. They were always very happy to respond promptly to any questions or concerns. We have no hesitation in recommending IKON Homes to anyone who is thinking of building a new home. IKON Homes have provided a great product that we are proud to now call our home. We can’t recommend the Ikon Homes’ team highly enough. Blair and the guys completed a full inside renovation of our newly bought house. They have turned an old, tired, two-unit style house into a comprehensive, free-flowing family home that is fresh, new and very special. We retained the old joinery and other character features of the 1950s house, while overhauling pretty much everything else. Nothing was too much or too tricky for them, including a stunning floor-to-ceiling wooden display unit and a beautifully crafted internal balustrade. Blair ran a very tight ship and had the project humming right to the end. Thanks so much. Why build with Ikon Homes? 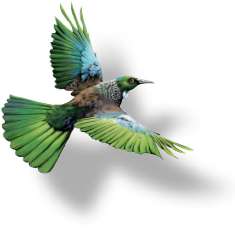 Proudly New Zealand owned and operated, family is the heart and soul of our business. Our homes are designed to impress and built to endure, with designs to suit all tastes, budgets and dreams. Building your own home is an adventure like no other and Ikon Homes is committed to making the whole process seamless and fun! We’re here to guide you through the journey and offer help and support at any stage. We deal with any issues quickly and our highly experienced staff pride themselves on keeping a cool head and will come up with a workable solution. And in an industry that’s dominated by blokes, we’re happy to say that Ikon Homes runs on a lot of girl power! The bottom line is we enjoy building beautiful homes for Kiwi families. 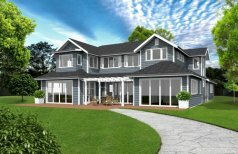 We’re not a volume building company, we’re a quality building company, and we’d love to make your dream home a reality.